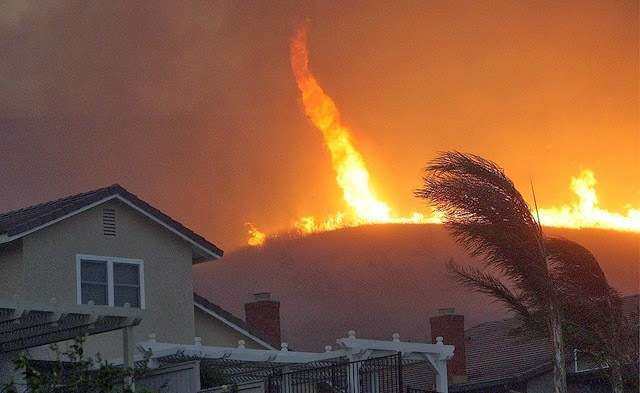 They are called variously fire whirls, fire devils, fire tornadoes and even firenadoes – and the chances are you will never be fortunate (depending on your outlook) enough to see one in real life. An extraordinarily rare phenomenon they are only occasionally caught on camera. Here, however, are a few wonderful examples. 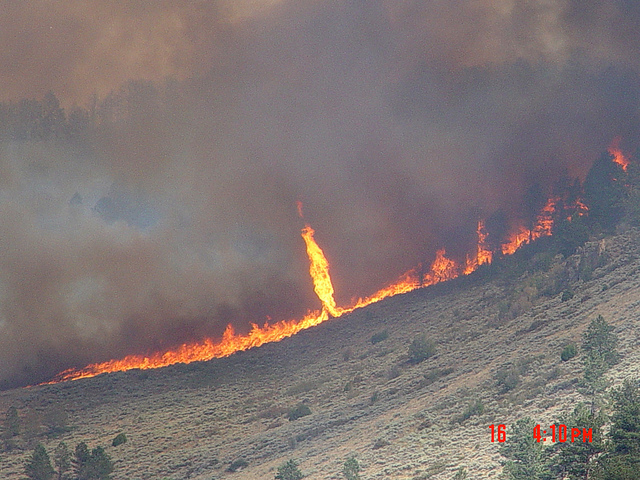 Fire whirls come about only under specific conditions, a combination of air currents and temperature. A fire on the ground forms a whirl which can rapidly reach great heights, though mercifully most never last for long. 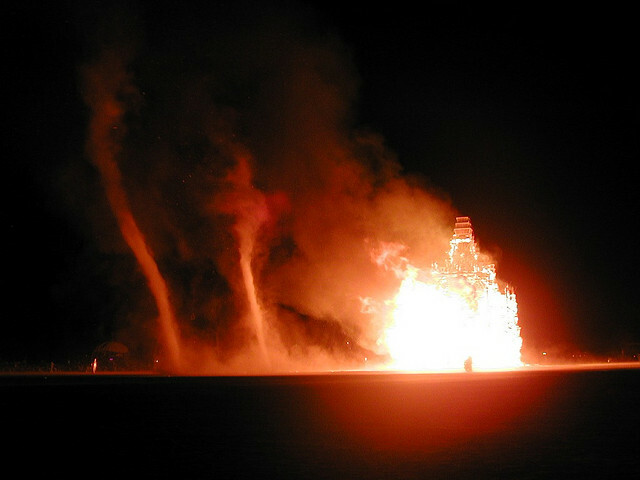 However, just like a tornado, the fire rises in an almost vertical rotating column. 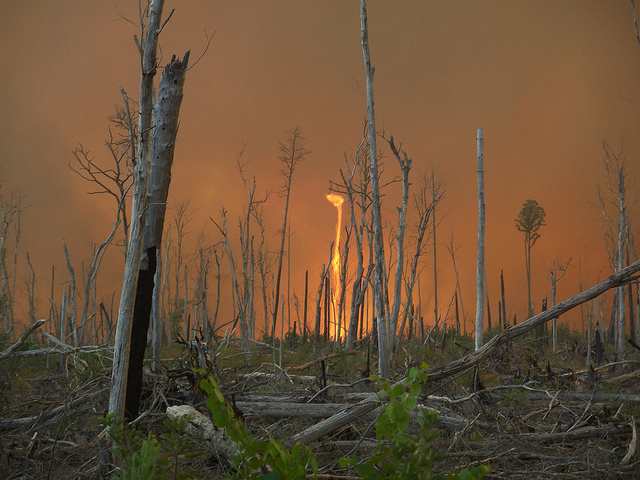 It is unusual enough to see a fire tornado amidst a bush fire on the ground. Yet sometimes they separate from the flames and become a brief vortex of flame, an independent spectacle. However, certain fire whirls can be more than a kilometer in height, move over 160 km/h, and persevere for more than 15 minutes. Best not to get too close. The Great Kanto earthquake in Japan in 1923 showed how lethal they can be. 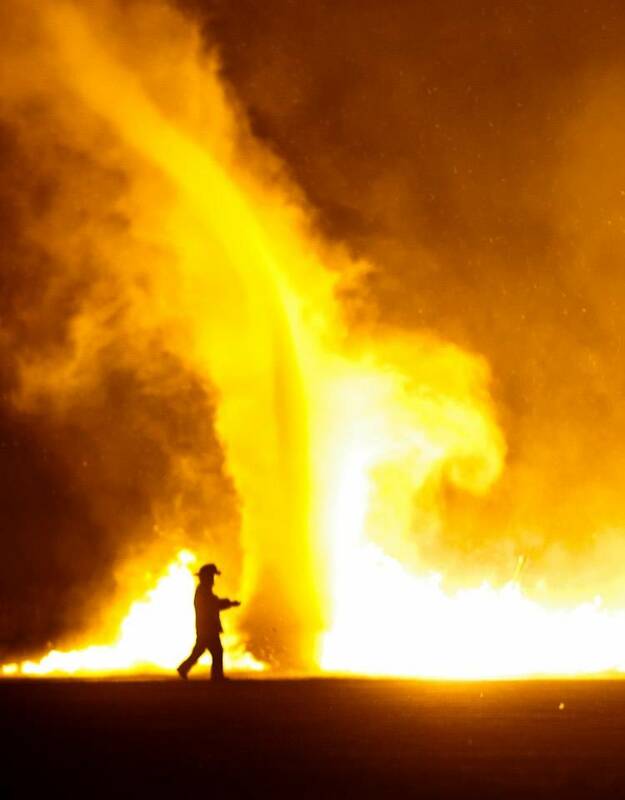 A fire whirl spontaneously combusted (how else to describe it?) and killed almost forty thousand people in a little under twenty minutes. Moreover, there was a fire caused by a lightning strike on a fuel depot in San Luis Obispo, California, in the 1920s. 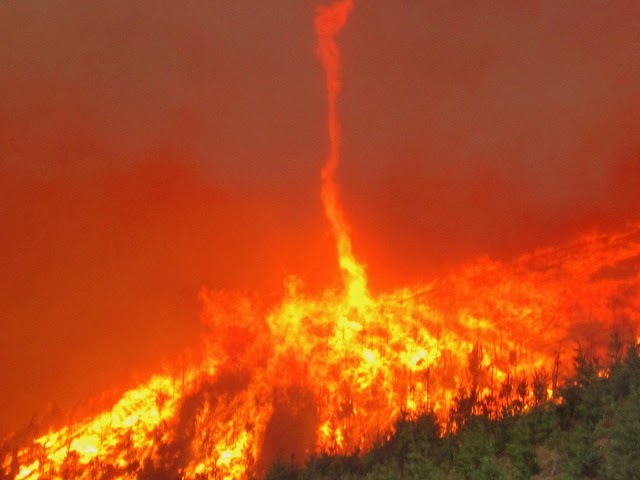 The resulting firestorm produced a myriad of fire whirls which carried debris over three miles away. There is every possibility that you will, in your life time, hear of a fire whirl wreaking untold havoc on lives and property. This remarkable footage was taken by Australian photographer Chris Tangey. 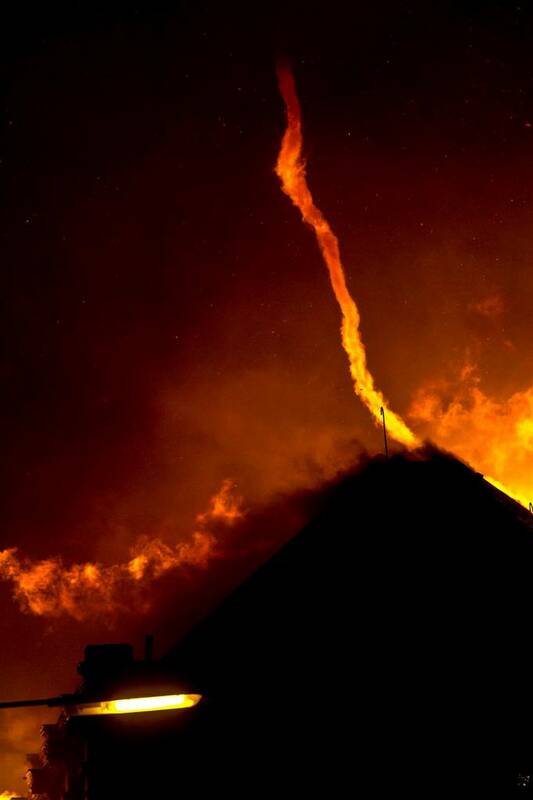 He managed to capture a fire whirl at full strength and captured it on footage which was seen on news bulletins around the world. This is the raw film he took – bear with it because when you see the fire whirl in action I think you will appreciate it! Watch as the debris from the whirl cascades down to the ground – simply amazing. Fire whirls are certainly magnificent to behold but they are also capable of propagating fire in areas previously untouched. As such, although they are invariably greeted with some awe there is always a dread of what greater damage they might inflict. 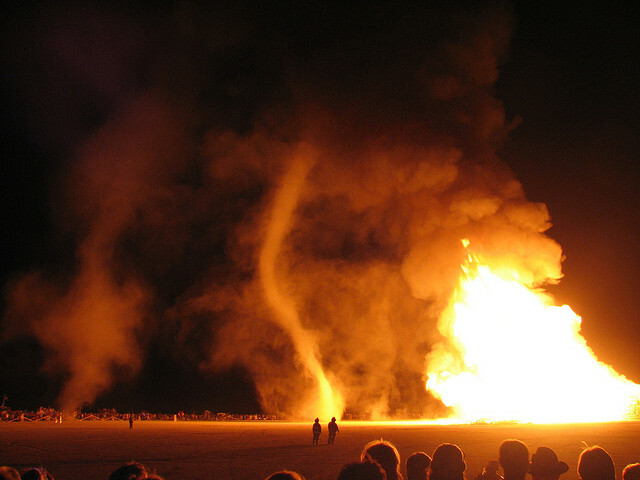 There are fire whirls quite often at the Burning Man Festival in the Black Rock Desert in Nevada (see picture below). It seems there the conditions, along with the strange urge the festival goers have to start fires often result in the creation of fire whirls, though none quite the size of the one in the Australian outback or indeed those which inflicted such damage on Tokyo and San Luis Obispo. Rabbit Mountain: Oregon. 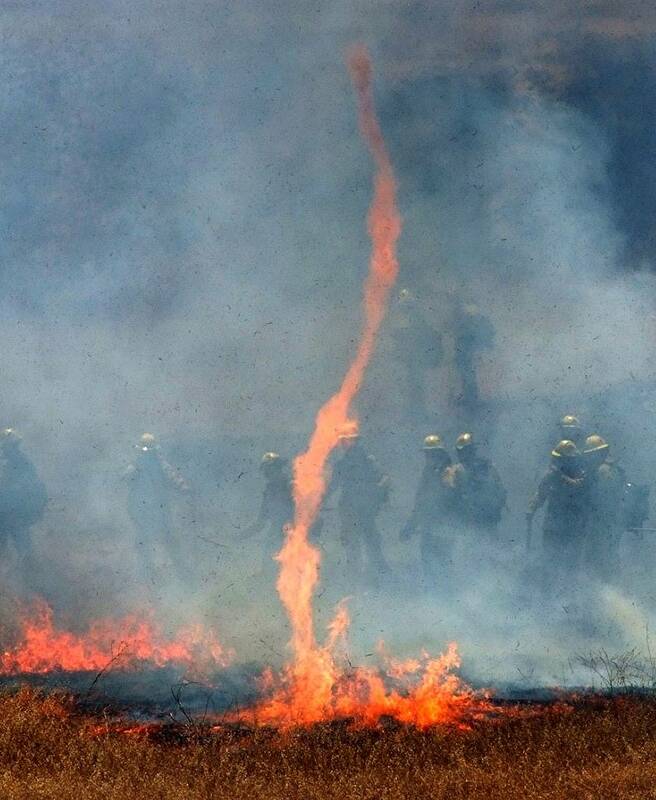 This amazing image of a fire whirl has become the symbol of the 2013 fire season. Appearing in national media, this is what folks in the fire biz call "extreme fire behavior" as evidenced by the magnitude of heat, smoke and wind patterns.